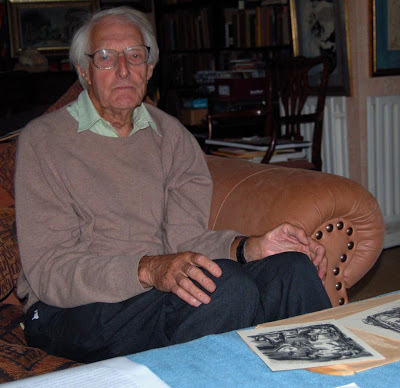 However much fun it may be to obtain pictures, or whatever, from sympathetic galleries and dealers, it is even more rewarding to have them direct from the artist. 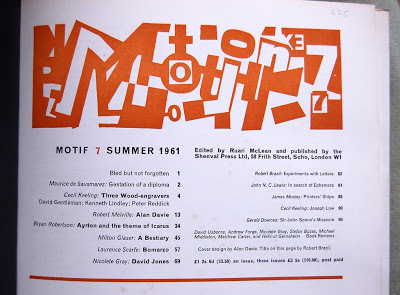 A fantasy version of this sort of transaction could involve paintings torn, still dripping with paint, from an artist’s easel or a printmaker just popping across to his Albion so that a particular block could be rolled up so a proof could be taken! 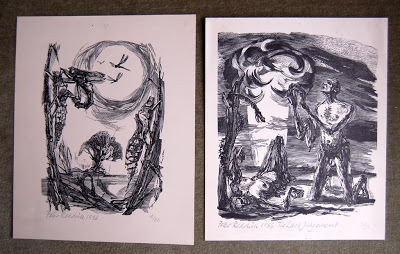 The other day we received two lovely wood engravings . . . but through a process very different from the one I have just described! 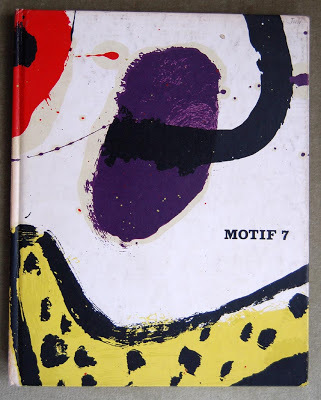 Peter Reddick had come to see us about something quite other and I announced that I had ‘rediscovered’ an article about him, together with two other wood engravers, in Volume 7 of the splendid journal Motif – seen below with its glorious cover by Alan Davie. 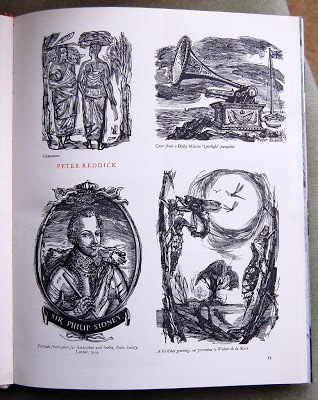 I found that I greatly admired all Peter’s work in this article (together with the others artists) but there were two prints that I thought were incredibly strong and would be seen as innovative now, let alone then. 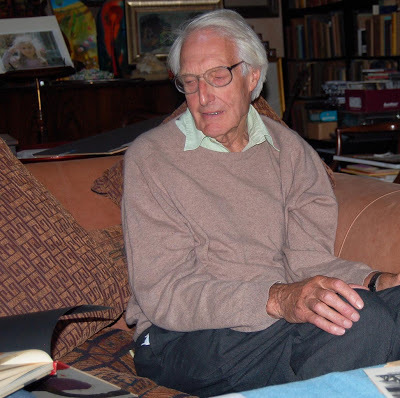 Absurd though it seemed to attempt to order a commodity from a ‘catalogue’ dated 1961, I nevertheless revealed my interest to Peter and wondered whether he might possibly have a proof of either or both lurking around somewhere. Peter said he had no idea but that he would search through his box labelled “Early Stuff”. Wonderfully, he was able to find just what I had wanted and a swopping bargain (another very satisfying thing to do) was struck. 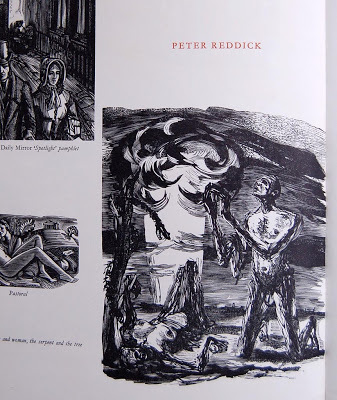 Nicolas, how marvellous these prints by Peter Reddick and the cover by Alan Davie! The latter made me gasp in amazement that something so simple (but not really simple at all) can elicit such powerful response. I take it that you actually have this cover? Have you framed it?